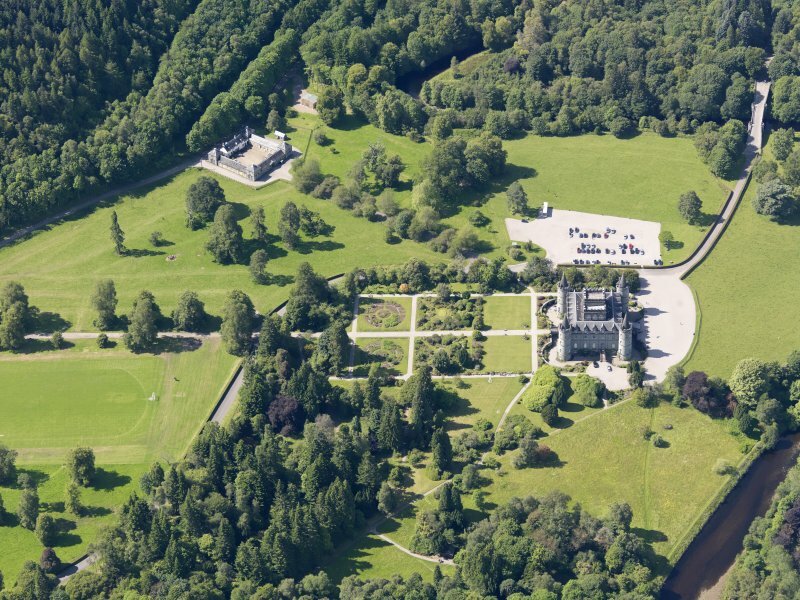 Oblique aerial view of Inveraray Castle and stables, taken from the NE. 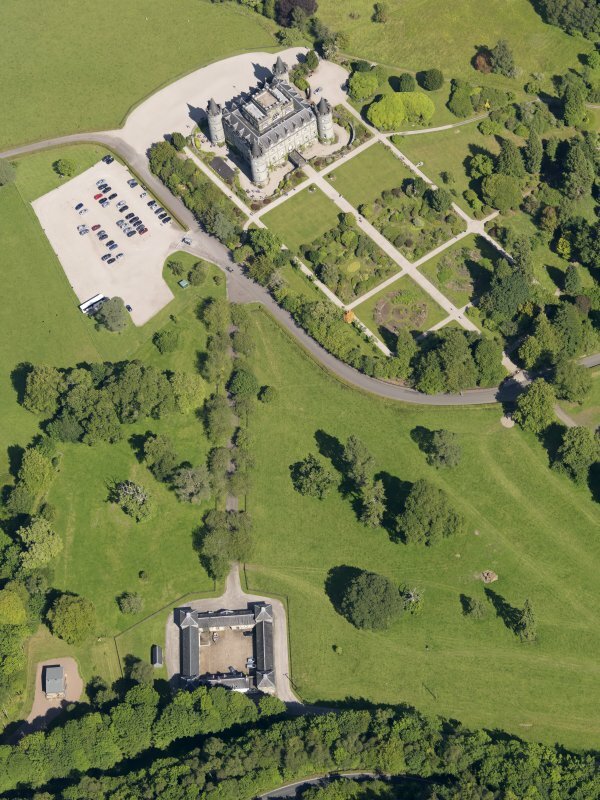 General oblique aerial view of Inveraray Castle and policies, taken from the SSW. 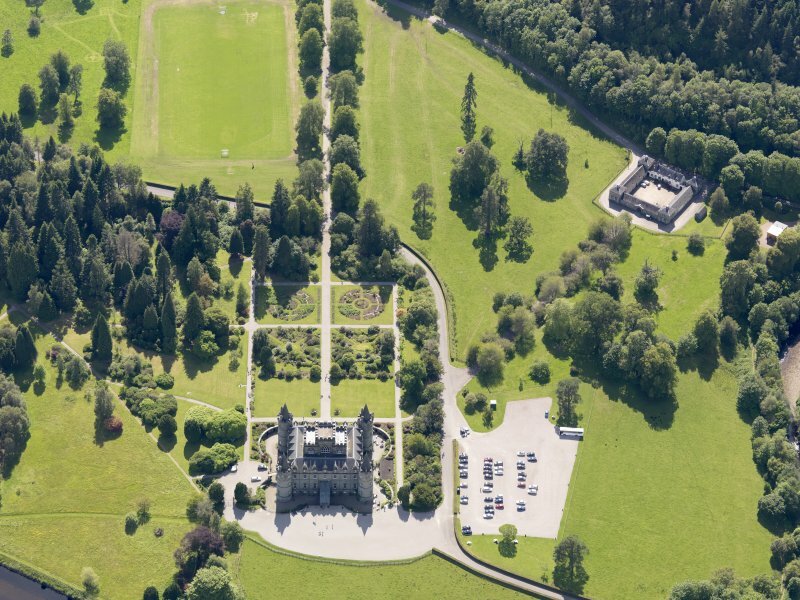 Oblique aerial view of Inveraray Castle and stables, taken from the W.
General oblique aerial view of Inveraray Castle and policies, taken from the SE. 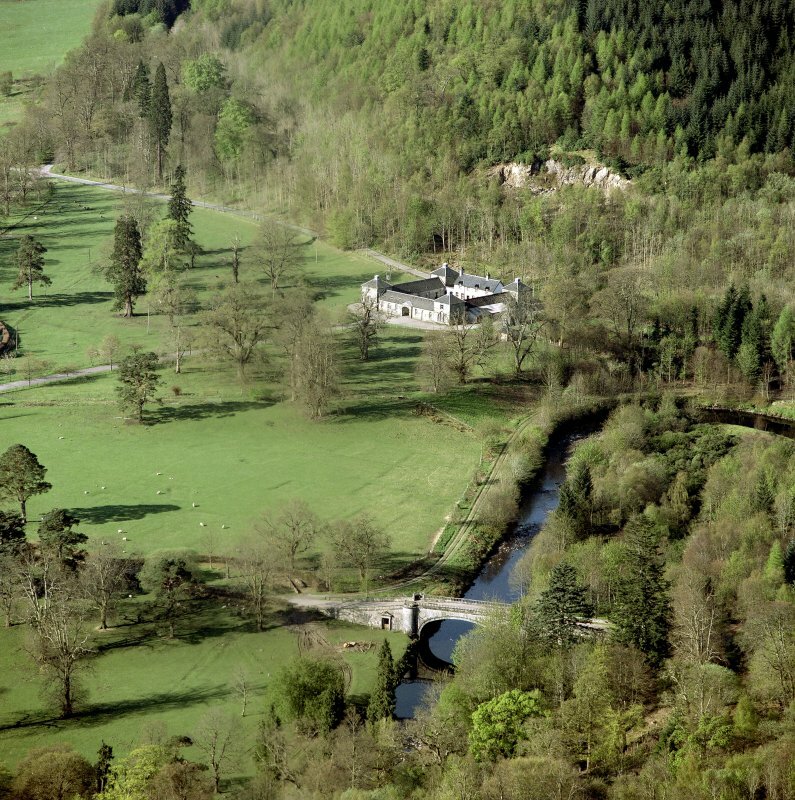 Oblique aerial view centred on the country house and garden with farmhouse, farmsteading and stables adjacent, taken from the ENE. 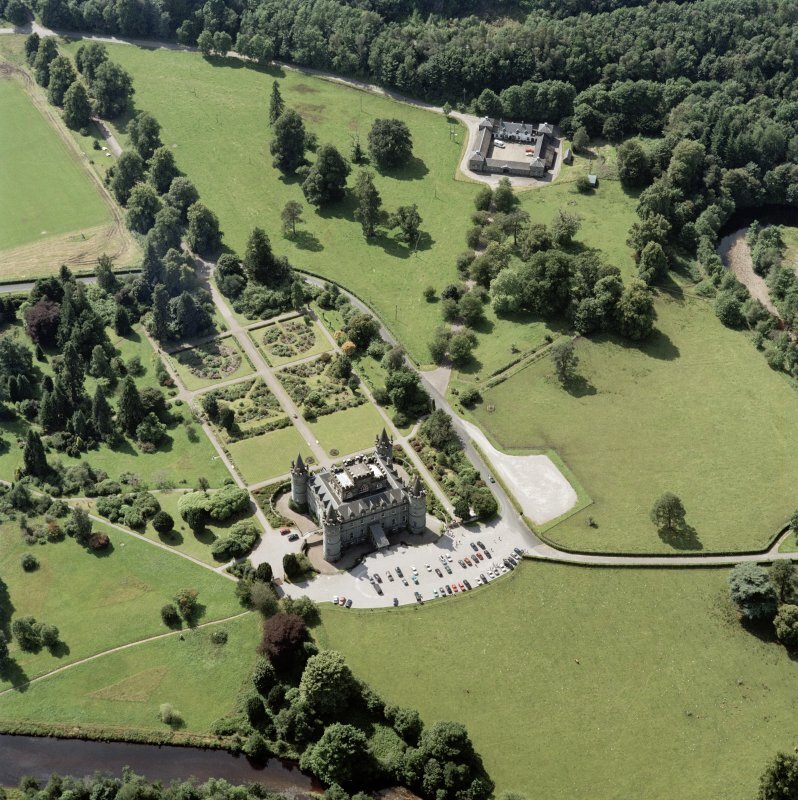 General oblique aerial view of Inveraray Castle and policies, taken from the SW.
Oblique aerial view centred on the farmhouse, farmsteading and stables, taken from the SE. 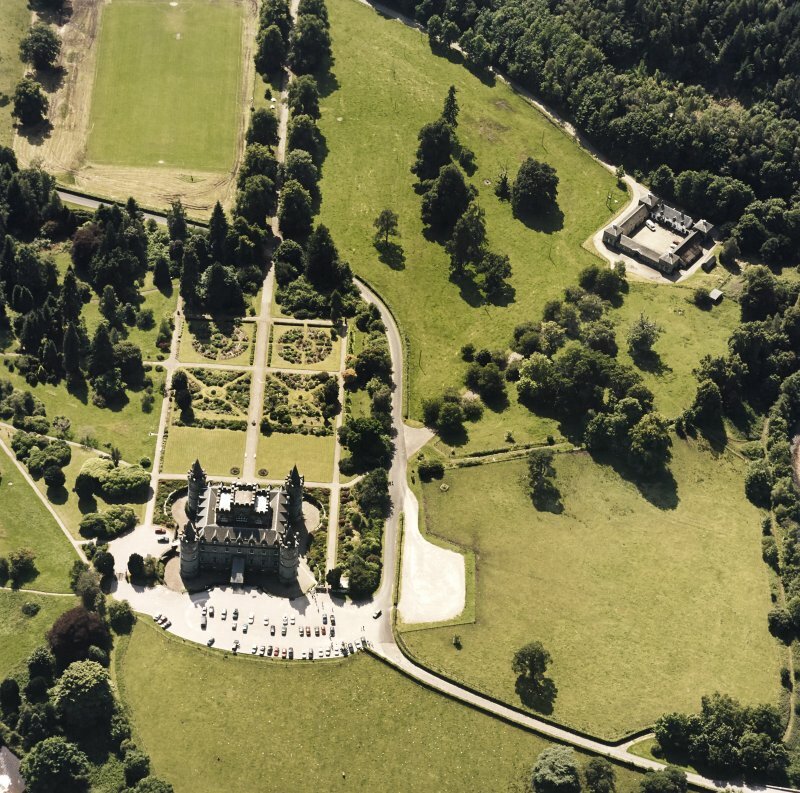 Oblique aerial view centred on the country house and garden with farmhouse, farmsteading and stables adjacent, taken from the NE. 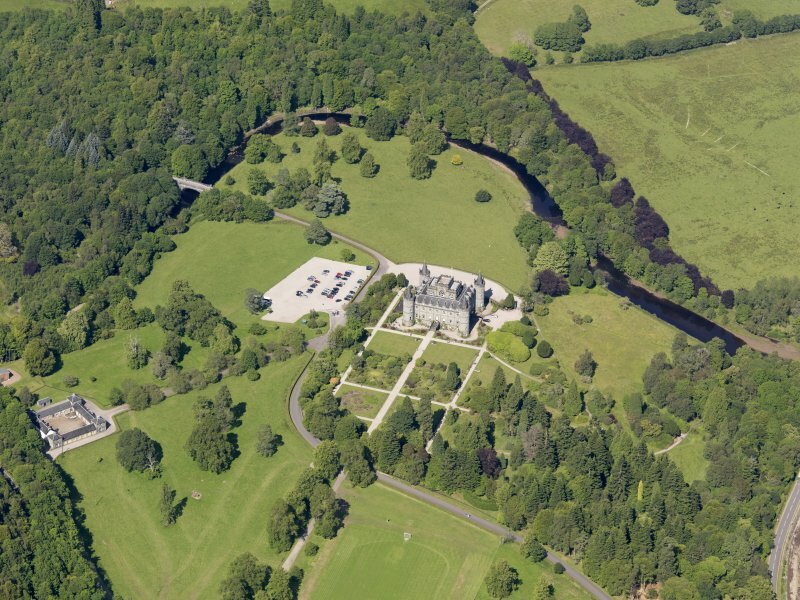 Inveraray Castle Estate, Cherry Park. Joseph Bonomi, 1807 - design for alts - not executed. 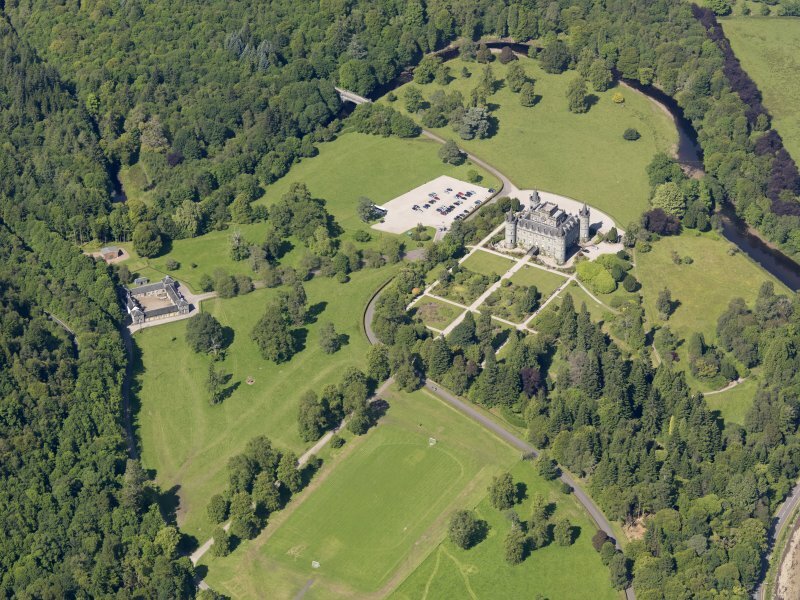 This court of offices, which now houses the Argyll Estate Office and a museum, is situated 230m W of Inveraray Castle (No. 184), to which it is connected by an avenue. 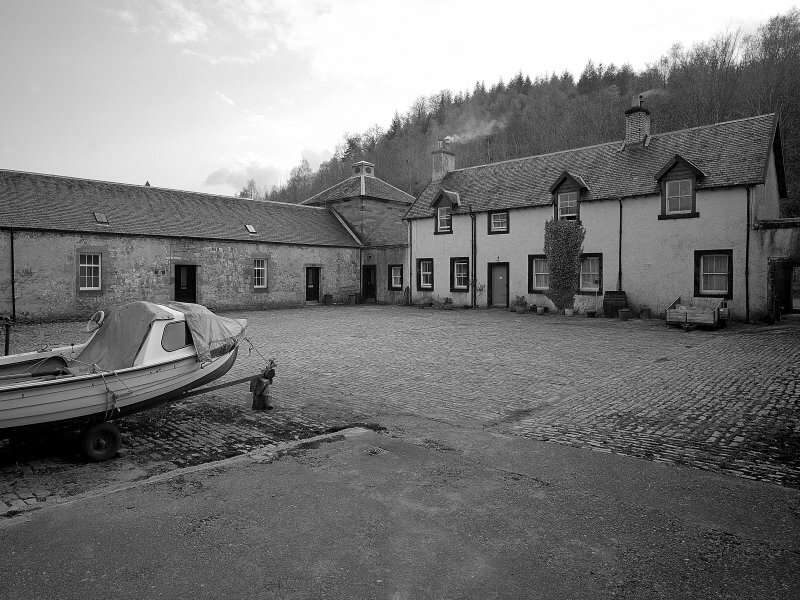 Plans for a coach-house and stables, to replace those associated with the old castle (No. 132), were drawn up by John Adam in 1759 and work began in the following year, but only the E range was roofed in when the 3rd Duke of Argyll died in 1761. The 5th Duke commissioned plans for 'alteration and completion' from William Mylne, and these were carried out in 1772 (en.1*). A plan of 1807 by Joseph Bonomi shows proposed two-storeyed additions against the outer walls of the E and S ranges, as well as identifying the existing uses of the rooms, but these works were not carried out (en.2). Further alterations were made in the 19th century and the1960s, especially in the W and S ranges. 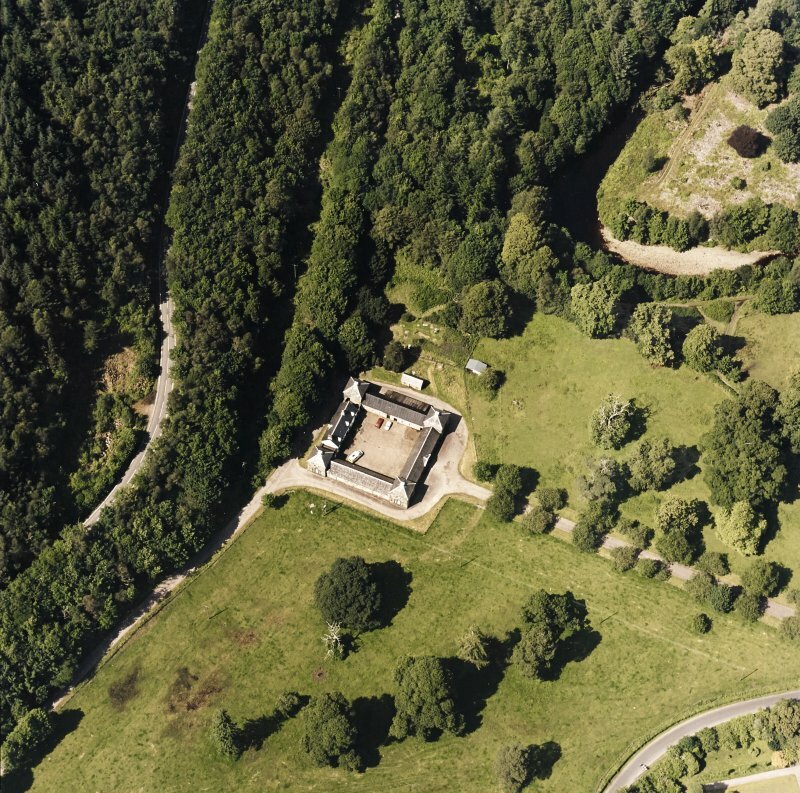 Now used as the Argyll Estate Office, this rectangular court was built to house the principal stables and coach-houses serving the new castle (John Adam, architect, 1758-61; completed by William Mylne, 1772-3). The E front, with its arched entry and Venetian windows, was much admired by early visitors. 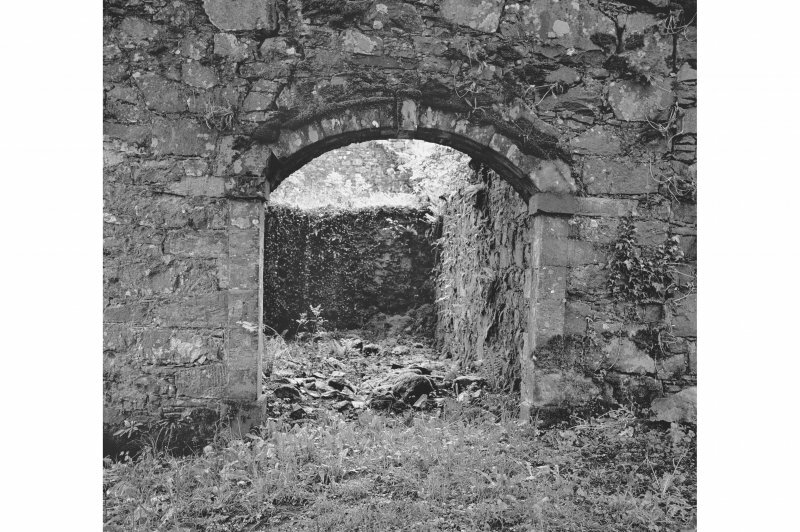 The open external arcade of the range was later infilled. In 1807 Joseph Bonomi prepared a scheme (not adopted) for doubling the width of the S and E ranges with additonal stables and coach-houses equal in height to the corner pavilions. 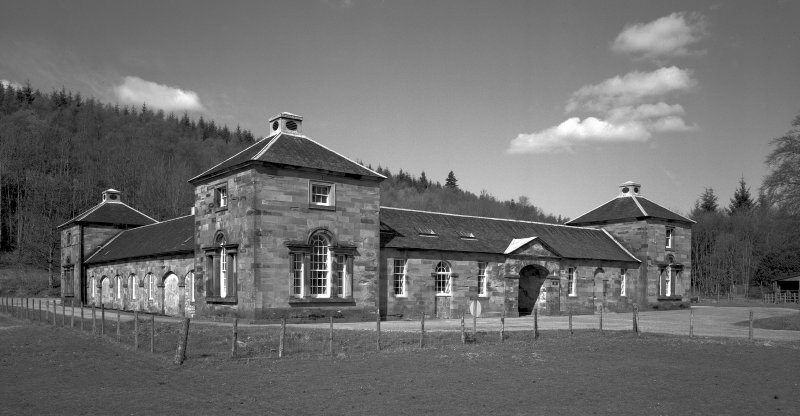 At that period the E range contained the brewhouse and laundry; the N range, poultry houses and a stable; the W range, a 'flower room' and dairy and domestic accomodation, with a large cow-house (now demolished) to the W; and the S range, stables.